Be the talk of your neighborhood. 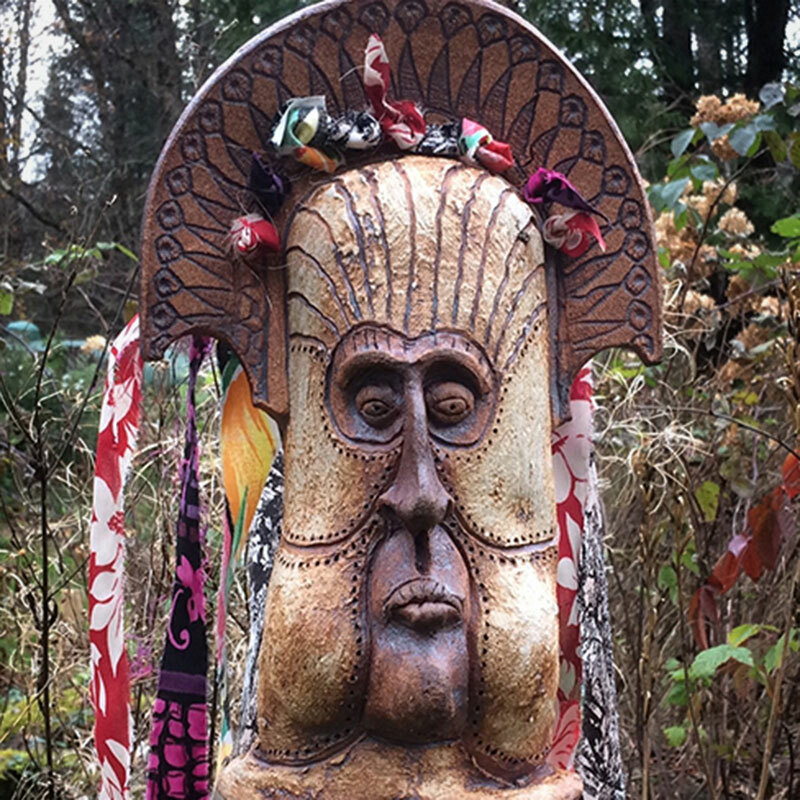 Enhance your garden with these beautiful one-of-a-kind handmade works of art. Fountains, goddesses, wall fountains and scarecrow heads are all made from high-fired stoneware clay and are hand sculpted in my studio. All these durable and long lasting objects (except the fountains) can be left outside year round. High fired stoneware. Dishwasher, microwave and oven safe. All glazes are non-toxic.